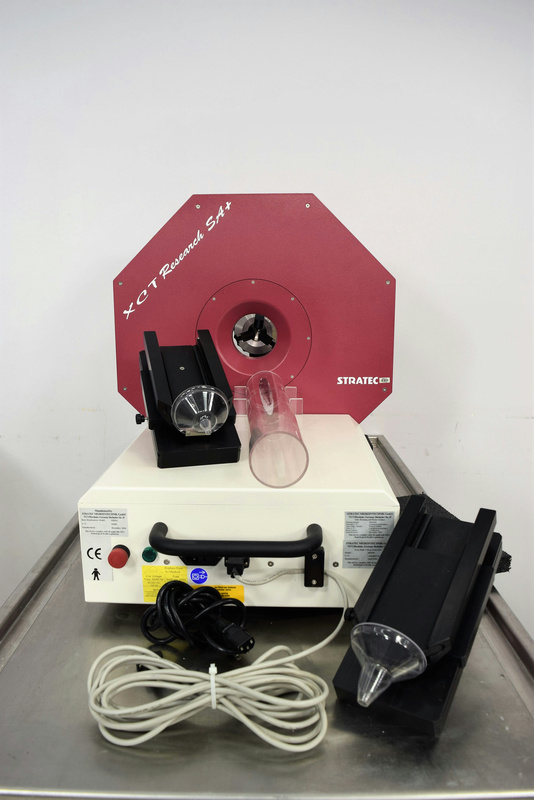 Stratec Medizintechnik Gmbh XCT Research Small Animal Bone Densitometer 2004 . New Life Scientific, Inc. Peripheral quantitative computed tomograph for the measurement of small laboratory animals like mice or rats. Evaluation of volumetric bone density, bone geometry and muscle parameter at small laboratory animals like mice and rats using peripheral quantitative computed tomography. This instrument has only been tested to power-on due to a lack of controlling peripherals. Our on-site technicians visually inspected and could only power the system on for testing. The end user will need the software and a computer for use.